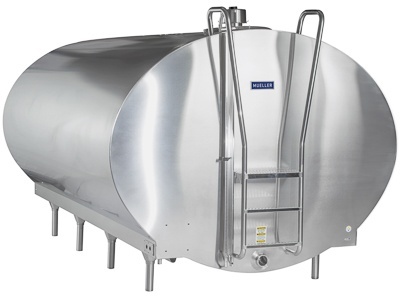 Paul Mueller Company bulk milk tanks set the world quality standard. Dependable and durable, you can count on years of trouble-free performance, the lowest operating costs, precise temperature control, and a wide range of standard features and options. 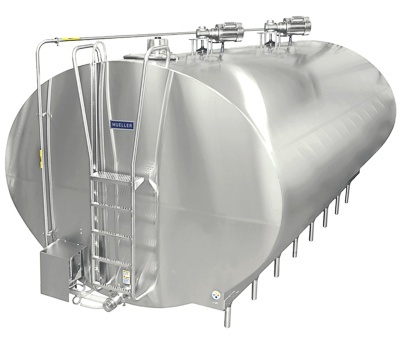 We specialize in milk cooling and storage systems and meet or exceed world standards including 3-A and CSA. Our milk coolers are built from polished stainless steel for durability and ease of cleaning. They feature double-wall construction with spray foam insulation to maintain the proper cooling temperatures and also utilize our exclusive Temp-Plate® heat transfer surface for maximum cooling power and low energy costs. 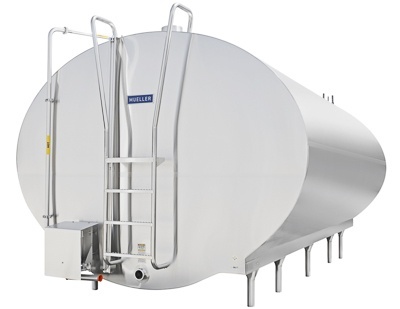 Our bulk milk coolers are available in 15 models and 12 sizes from 400 to 8,000 gallons to suit the needs of small and large operations. 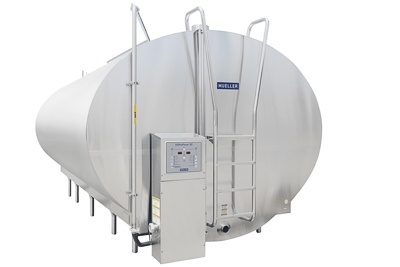 They also come standard with heavy-duty agitators and automatic washing systems and can be adapted to your operational needs using the Mueller refrigeration and control systems which provide the most suitable range of features.